You are at:Home»Taste»Purple Tea: Innovation or Hype? Purple Tea: Innovation or Hype? White, green and black teas are fairly commonplace but have you ever heard of purple tea? This unique variety is making waves in the tea world as a number of tea growing regions are now experimenting with it. A genetic mutation can cause tea plants to have higher levels of anthocyanin, giving the leaves an unusual purple appearance. It is the same antioxidant that gives blueberries their deep blue color and brings about the brilliant reds and oranges of fall foliage. There is some debate as to where purple tea originated. Depending on who you ask, the answer to that question could be China, Kenya or even India. We do know that Chinese researchers first discovered it in Yunnan Province in the mid 1980’s. 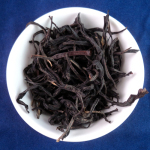 Pu-erh tea made from purple leaves is prized for its milder taste with reduced bitterness and astringency. 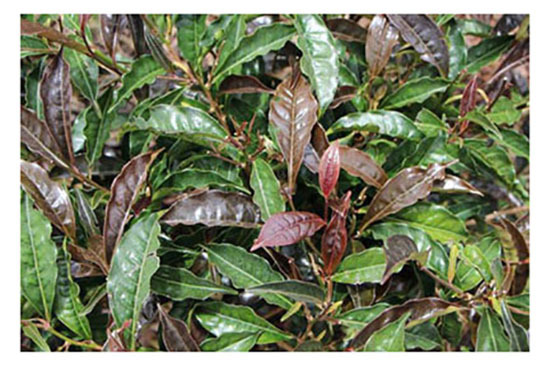 Kenya has been developing its own purple tea cultivar, dubbed TRFK 306/1, for at least 25 years. 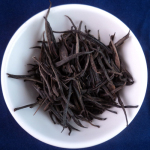 According to the Tea Research Institute of Kenya, it fetches three to four times the revenue of regular black teas. Tea seeds have a high amount of genetic variability so instead, it’s produced using cuttings. This helps ensure that all plants will have the traits necessary to produce purple leaves. 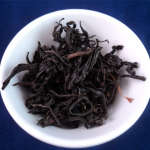 It is hoped that purple tea will serve as an additional source of income for poor farmers since it can be used to manufacture extracts of Anthocyanin and other flavonoids. Japan has its own purple tea variety but it isn’t meant for making tea to drink. The taste of the “Sunrougue” cultivar is unpleasantly bitter. It was developed by researchers as a functional ingredient source rather than for the purpose of drinking tea. It doesn’t have as high a survival rate as the more common Yabukita but it has been found to be highly resistant to grey blight, a damaging leaf disease. The Tocklai Tea Research Institute recently made headlines when they announced that Assam is getting into the purple tea game. It’s likely that Kenya’s TRFK306/1 will thrive there because most of Kenya’s original tea plantings were sourced from the north-eastern region of India. Drought resistant plants could help maintain production levels during the dry season. Purple specimens at Tocklai are referred to as “ox blood” tea. Wild purple plants have also been discovered in the area. Purple tea is frequently marketed as being even healthier than more common varieties. While some studies have shown that there are advantages to a diet rich in anthocyanin, the jury is still out as to whether those benefits make their way to the cup. The American Cancer Society has not been able to confirm that antioxidants can prevent or treat cancer. Studies have shown some promising results but more research is needed. Consumers should watch out for retailers who rely on buzzwords and health benefit hype to promote purple tea. While production is small, it is not as rare as many make it out to be. Purple tea also does not carry any guarantee of quality. That being said, don’t let it stop you from exploring this exciting new tea type. You may just find a new favorite! [/groups_member] [groups_non_member group=”Paid Subscribers”] Want to read more? You need a subscription to view the full article – click here to subscribe! Already subscribed? Sign in to continue reading this article!